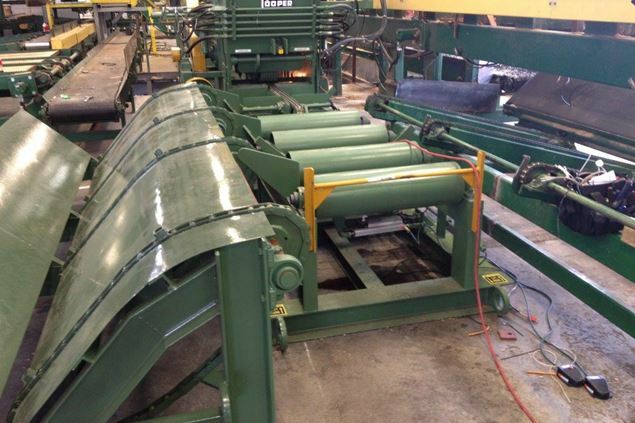 Cooper Machine manufactures a 2, 3 or 4 saw edger that is able to edge cants, boards or slabs. The most popular 6” edger comes with two movable saws to handle cants, boards or slabs from 3 inch to 18 inch wide (but custom configurations available). 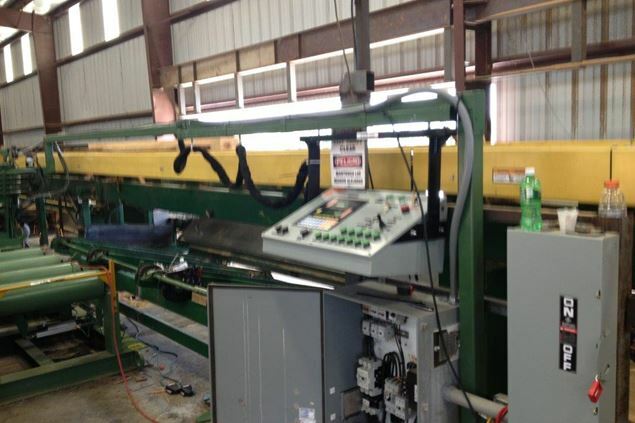 The operator uses the console to select the sawing size and then an optional set of laser lights follows the saw and shines on the wood to assist the operator in choosing the right sawing solution. The edger is available with an optional infeed rollcase with a set of jump chains to assist the operator in positioning the larger material onto the edger. The material can either be manually pushed onto the edger or this can be automated. On both options, multiple hold-downs pin the material to the rollers for better accuracy.